The Taoiseach’s criticism of a well-established NGO report that puts Ireland as Europe’s worst-performing country on climate action has been rebuffed by one of its lead authors. 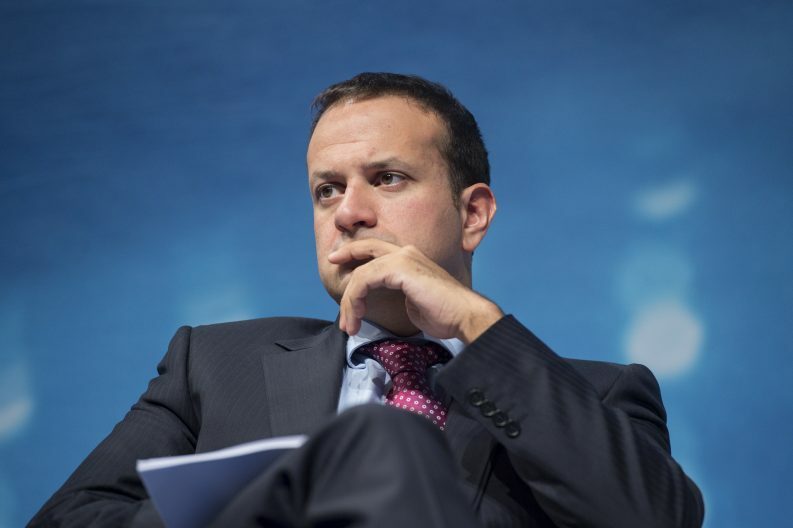 On Wednesday, Leo Varadkar was asked by the Green Party’s Catherine Martin about the “embarrassing, disgraceful and shameful” position of Ireland as one of the lowest ranked countries in the latest Climate Change Performance Index. The joint-report released this week from Germanwatch, the NewClimate Institute and Climate Action Network singled out Ireland as the worst performing European country on climate for the second year running. The report places Ireland in 48th place of 56 countries examined, leaving us closer to Donald Trump and the oil baron hub of Saudi Arabia than our European compatriots closer to the top of the rankings. The Taoiseach questioned the findings of the report, focusing instead on the fact that it was developed by an advocacy and campaign NGO. “We need to make a distinction between report cards, claims and assertions made by campaign organisations as opposed to those made by official bodies such as the CSO, the UN or the EPA,” he said. Yesterday's report which found Ireland last in Europe on #climateaction is obviously an "inconvenient truth" for the Taoiseach. Responding to the Taoiseach’s comment, Germanwatch’s Jan Burck said that Mr Varadkar’s criticism “falls short” as the findings are based on “standardized scientific criteria”. The data for 12 of the 14 indicators used in the report is drawn from official statistics in cooperation with national experts, Mr Burck said. All ratings and indicators described in a detailed and transparent manner, said Mr Burck, one of the lead authors of the Index. Eighty per cent of the assessment of countries’ performance is based on quantitative data on greenhouse gas emissions, renewable energy and energy use. The data comes from national emissions inventories submitted to the UNFCCC, the International Energy Agency and the Potsdam Institute for Climate Impact Research, all “internationally recognized and accepted data source”, Mr Burck said. Only twenty per cent of the assessment, he said, is based on the policy evaluation of national experts from NGOs and think tanks in Ireland. “Apart from pointing at shortcomings, the assessment for Ireland by national experts also acknowledged positive developments such as the Fossil Fuel Divestment Bill,” Mr Burck said. Dr Cara Augustenborg, an environmental policy fellow at University College Dublin, said she was glad to see Germanwatch stand up for its “robust & transparent methodology”. The Taoiseach’s “flippant response” to the report was a “Trumpian attack on civil society”, she said, with the aim to “foster distrust & suit his own spin”. Dr Diarmuid Torney, who leads DCU’s Master’s program in Climate Change: Policy, Media, and Society also welcomed the “robust response” from the German NGO to Mr Varadkar’s “unjustified and somewhat bizarre criticism” of the Index.